WKKF Community Leadership Network fellows unite us on the path to a more equitable future for all. Fellows are organized in cohorts based in Michigan, Mississippi, New Mexico and New Orleans – the Kellogg Foundation’s priority places – along with a national cohort. Together, they move us forward toward justice by bridging divides, encouraging new ways for collaboration and leading meaningful change for children, families and communities. Select a cohort and meet the Class Two fellows. Dr. Robert E. Luckett Jr.
For more than 25 years, Sarah has been working to dismantle structural racism, advance policy reform and advocate for restorative justice. Her passion for treating every person with dignity, humanity and equality has guided her life’s work. 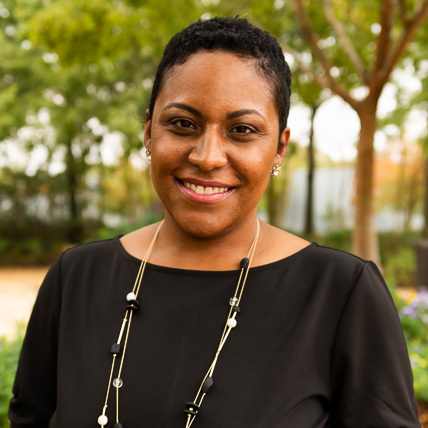 She currently serves as the executive director of the National Juvenile Justice Network, leading a movement of state advocacy organizations and individuals to reform our juvenile justice system. A graduate of Stanford University and the John F. Kennedy School of Government at Harvard University, Sarah is also an accomplished writer of policy papers, blogs and op-eds. Raised by her grandmother in Southern China to be an optimist, Ze’s life goal is to achieve equity for all. She is a firm believer in the power of cross-sector engagement and collaborative problem solving to advance social justice. Ze currently directs the Mayor’s Office for New Americans in Salt Lake County, where she leads implementation of the Welcoming Salt Lake plan to ensure new Americans’ economic, social and civic potential is maximized – making Salt Lake more vibrant, welcoming and globally competitive. 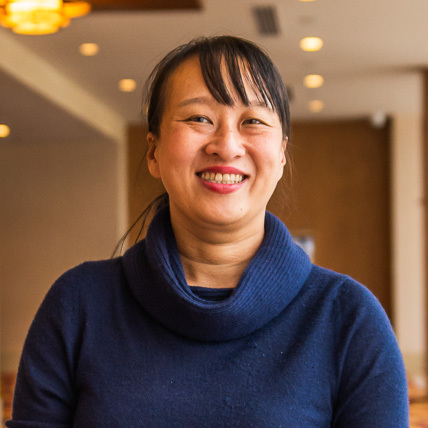 A graduate of Westminster College, Ze is also an appointed member of the Governor’s Multicultural Commission and serves on the Governor’s Refugee Advisory Board. Author, scholar, educator and advocate, Robby is a leading authority on the civil rights movement of Mississippi. His work has appeared in academic journals, historical texts, podcasts and documentary series. At Jackson State University, he is an associate professor of history and the director of the Margaret Walker Center, an archive and museum. Robby’s dedication to uncovering and sharing the history of the Mississippi civil rights movement is preserving a critical piece of African American history and culture. A graduate of Yale University and the University of Georgia, Robby is a civil rights champion. Myrialis believes children – regardless of race, family income level or home language – not only deserve, but need a solid educational foundation to create transformational, generational impact. 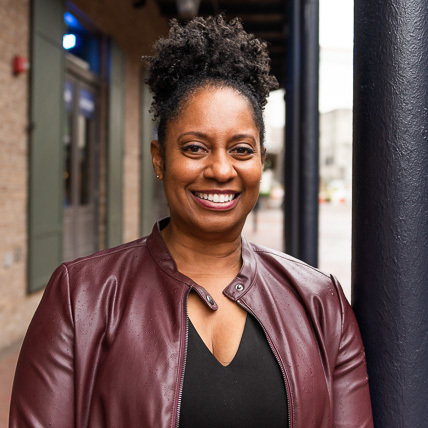 As founder and head of school, Myrialis works to equip students of Foundation Preparatory Charter School with the academic knowledge and character necessary to advocate for themselves, their families and community in pursuit of a better New Orleans and world. She is a champion for English language learner (ELL) students and their families. 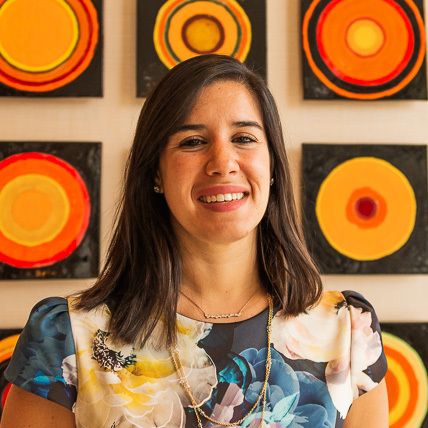 Originally from Puerto Rico, Myrialis is a graduate of Amherst College and Howard University. 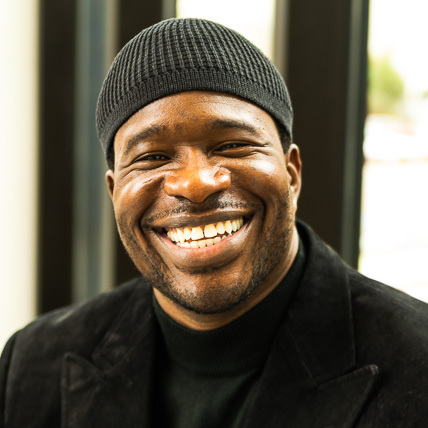 An entrepreneur, business leader and community activist, Muhammad is also passionate about mentoring young people. He volunteers at the juvenile detention center and teaches peer mediation and conflict resolution to decrease violence in the community. Muhammad currently serves as deputy director of the International Museum of Muslim Cultures, which aims to educate the public about Islamic history and culture and the contributions of Muslims to world civilization. A graduate of Colorado Technical University, he brings 20 years of experience in the Islamic and interfaith communities to his work. Kristyna cares deeply about education and community development to foster equitable opportunity. She is principal of K. Jones Advisors, a strategic consulting firm focused on building community-oriented business capacity. She is also chief operating officer and co-founder of Brothers Empowered to Teach Initiative, which focuses on exposing young men of color to the teaching profession. 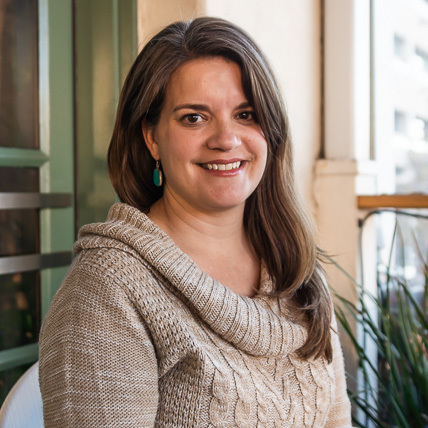 She believes in being a good citizen of New Orleans and acts as president of Crescent Community Land Trust, as well as a business advisor supporting women running for office. Kristyna is a graduate of New York University and The New School. Tinesia is a nonprofit executive, career development specialist and certified life coach. Leveraging community resources, partnerships and employment opportunities for underserved youth and families is Tinesia’s expertise. She launched Depositing Empowerment Through Outreach and Urban Redevelopment (DETOUR), which offers an array of programs to nurture girls’ leadership. 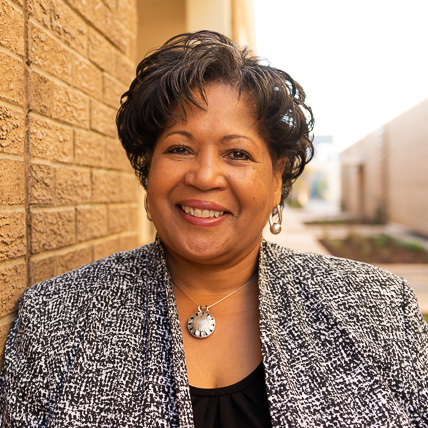 Currently, she serves as the youth workforce development program manager for the San Diego Housing Commission. 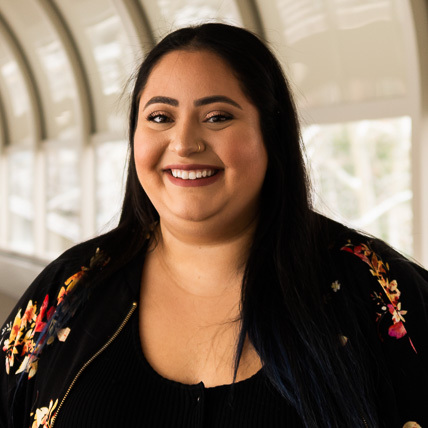 A graduate of San Diego State University and University of San Diego, Tinesia is dedicated to empowering youth to believe in themselves and change the world. Deeply committed to the community, The Very Rev. 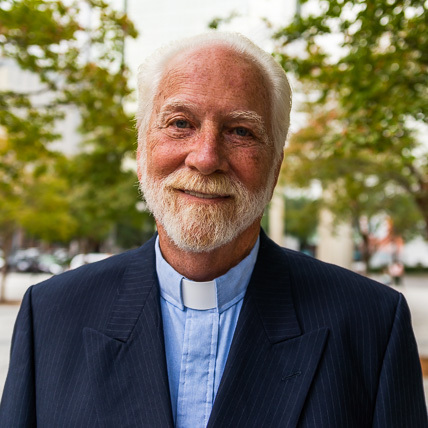 Bill serves as dean of New Orleans Downtown Deanery, a group of seven parishes including St. Anna’s Episcopal Church, where he is the rector. Under his leadership, the church has gained local and national attention for its social justice approach. He also is the Episcopal chaplain and adjunct faculty to Tulane University School of Medicine. A veteran and FEMA chaplain, The Very Rev. Bill has published numerous articles, primarily on urban violence, post-disaster relief efforts and sanctuary programs for migrants. He’s working to restore the historic Marsaudet-Dodwell House as a safe place for the community, establish an endowed chair for community wellness and peace, and fund an art installation to recognize murder victims in the city. The Very Rev. Bill is a graduate of Tulane University and Loyola University. Eli is a community organizer and movement builder. 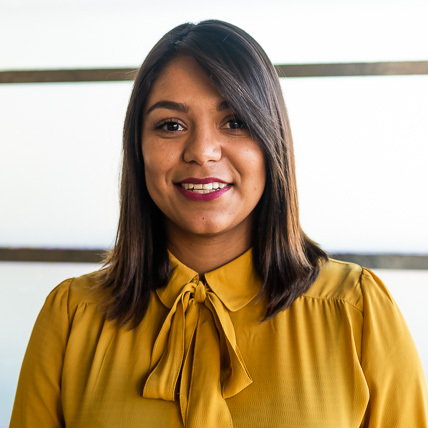 As United We Dream’s national field director, she leads the strategic and grassroots organizing efforts for more than eight United We Dream state branches and affiliates. Her leadership has grown the organization from 48 to 112 local affiliates and mobilized thousands to take action on behalf of immigrants everywhere. Eli’s work is rooted in racial justice, intersectionality and Indigenous epistemology. She is a graduate of the University of New Mexico. A dentist, advocate, consultant and researcher, Dr. Danny is dedicated to improving health care access for all. His work is focused on identifying and dismantling the health disparities and inequities in his community. He researches social, behavioral and environmental determinants of health, and advocates for health care reform and public policy change. He is also a pediatric dentist at Golnick Pediatric Dentistry. Dr. Danny holds degrees from the University of Michigan, University of Florida and University of California. 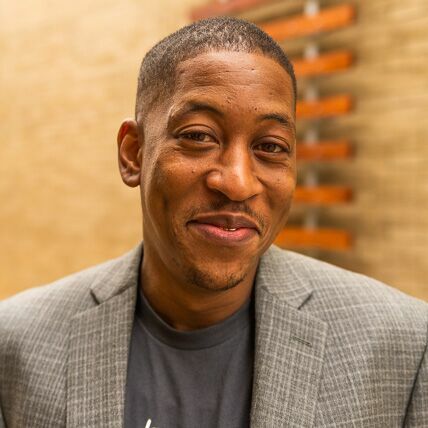 Bringing more than 25 years of business and start-up experience, Hal co-founded and is the executive director of LAUNCH Chattanooga, which offers training, support and affordable resources to budding entrepreneurs in historically underrepresented communities. His dedication to empowering entrepreneurs to realize their greatest aspirations and create successful, sustainable businesses is helping families and communities thrive. A graduate of Covenant College, Hal was a 2016 BALLE Local Economy Fellow and 2017 City Lab participant. Building a stronger, more vibrant community is Michelle’s focus. 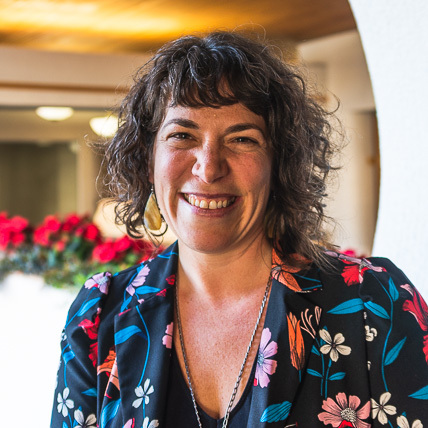 An innovative, non-traditional leader, Michelle is the executive director of the Peninsula Conflict Resolution Center, where she brings community members, law enforcement, faith-based groups and local government together to address society’s most complex issues. Michelle serves on the board of Innovate Public Schools, which advocates for quality education for students of color. She was named 2016 Woman of the Year by the California State Assembly. Michelle studied psychology at the Bethany College of the Assemblies of God. 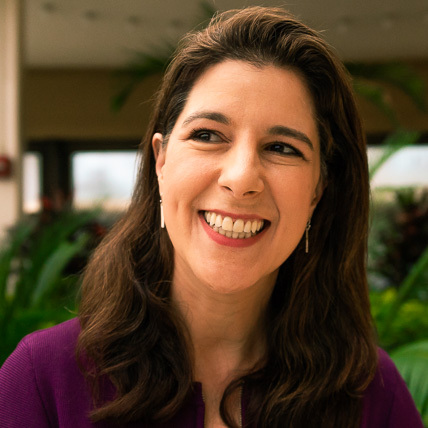 Alexandra is the CEO of a national healthcare nonprofit that partners with communities and health systems to address systemic causes of inequity and disease. She is deeply passionate about removing barriers to health, such as food insecurity and access to housing – driving toward a vision of health, dignity and well-being for every person, in every community. A graduate of Smith College and Georgetown University, Alexandra is an expert in strategic planning, programmatic design and organizational growth. 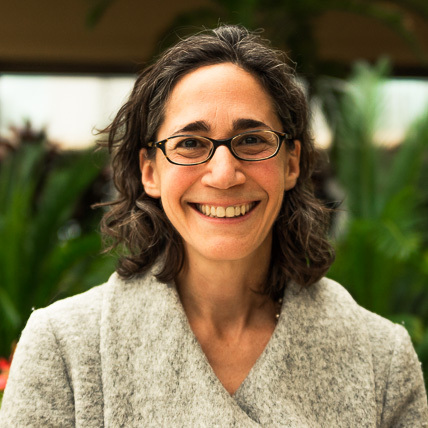 She brings two decades of experience across health, education and public policy to advocate for person-centered solutions to complex, deeply-rooted challenges. From within the heart of downtown Jackson, Jamie is transforming the lives of hundreds of vulnerable children and at-risk youth. She brings 20 years of health and wellness experience to her work with the youth in her community, and to the global community she serves in her corporate role. She is senior partner of corporate social responsibility at Tivity Health, leading global efforts to boost physical activity, connectivity and productivity among aging populations. Her dedication to uplifting people on both local and global scales is driving positive change. She is a graduate of Mississippi State University and Belhaven College. Sarah is dedicated to ending the cycle of generational poverty and improving the quality of life for low-income families and youth in her community. 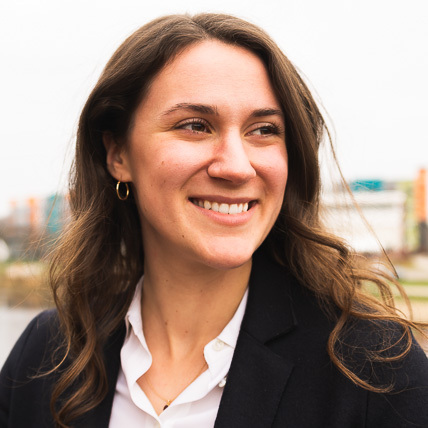 An experienced strategist, program coordinator and direct service provider, Sarah has built local and national partnerships aimed at advancing economic security for all. She is the senior community specialist at Springboard to Opportunities, where she guides programming for wrap-around support services for families and children. A graduate of Calvin College, Sarah is currently a postulant for the diaconate in the Episcopal Diocese of Mississippi, and owns the first tiny house in Jackson. Troy cares about creating a more equitable New Orleans for people of color. 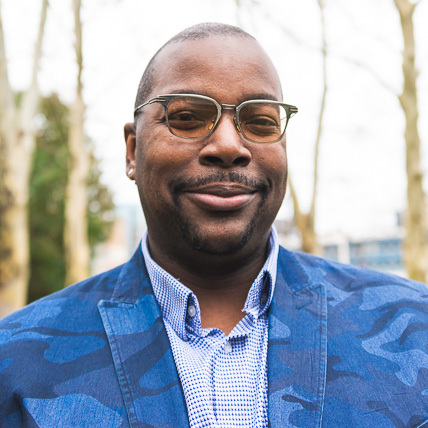 He is a public policy and community engagement consultant with expertise in facilitation, leadership development, community revitalization, criminal justice reform and organizational coaching. 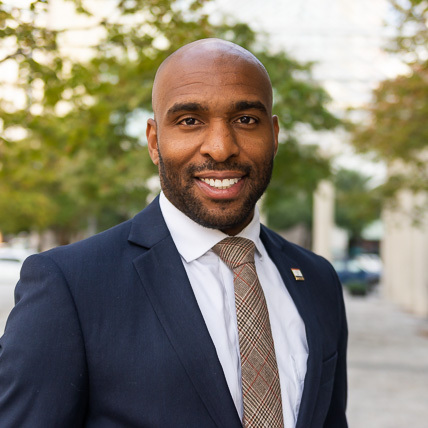 Troy currently serves as lead consultant and advisor for Making Connections New Orleans, a nonprofit that addresses mental health and well-being for men and boys of color. 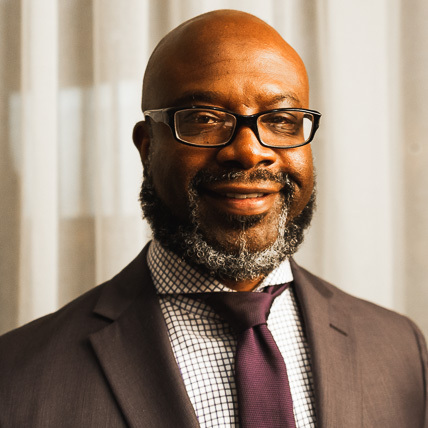 He is also a coach and external assessor for New Orleans Youth Alliance and Youth Program Quality Initiative, and serves as a board member for Crescent City Community Land Trust, The Living School and EMPLOY Collaborative. He is a graduate of University of New Orleans and is completing an executive master’s degree in public administration at Southern University and A&M College. Dedicated to lifting up the community of the Rio Grande Valley, Daniel is a grassroots leader, political organizer and educator. His passion for advancing economic, racial and social justice has propelled him to mobilize low-income communities to achieve more equitable investments. He serves as the financial aid director for La Joya Independent School District, assisting low-income, first generation students’ transition in college. 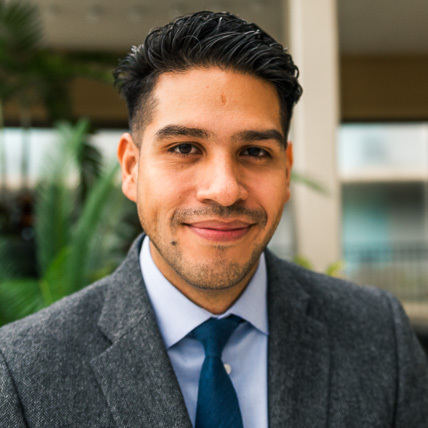 Daniel also co-founded Cambio Texas, a multi-faceted project aimed at increasing Latinx voter turnout and developing leaders who will fight for equitable opportunity. He is a graduate of the University of Arkansas. Thea’s work is driven by a quote from James Baldwin which states, “These are our children and we will profit by, or pay for, what they become.” This principle guides Thea’s commitment to enhancing the educational experience for all children, while changing the narrative surrounding public education. 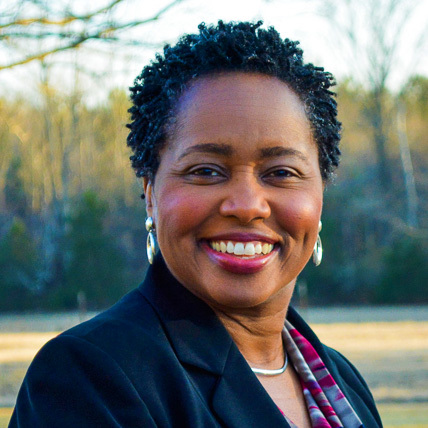 An established educator and leader, Thea currently serves as the director of Partners in Education for Jackson Public Schools. She also is an ambassador to the Greater Jackson Chamber Partnership, a community advisory council member to the Junior League of Jackson and a board member for the Greater Jackson Arts Council. Thea is a graduate of Dillard University and earned a professional certificate from the Millsaps College Business Advantage Program. Sandra is a community planner who is actively engaged in her community. Through her consulting company, she supports foundations and nonprofits to build their capacity and advance social justice locally and at the national level. One of her primary roles is serving as the contracted co-project manager for Nusenda Foundation’s Co-op Capital Initiative, helping low-income families and entrepreneurs increase access to affordable capital. 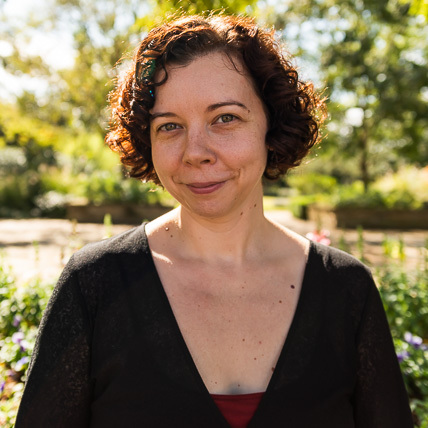 Sandra also spent over a decade working in culturally- and linguistically-specific domestic violence agencies, and is passionate about creating a world without violence. 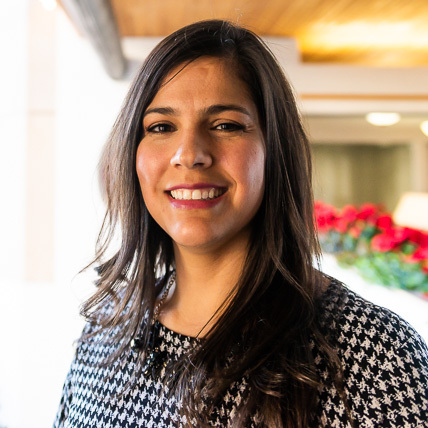 She currently serves as president of the board of directors for Encuentro, which builds the skills and civic engagement of the Latino immigrant community, and is a graduate of the University of New Mexico. Tabitha is grounded in New Orleans’ social justice community. 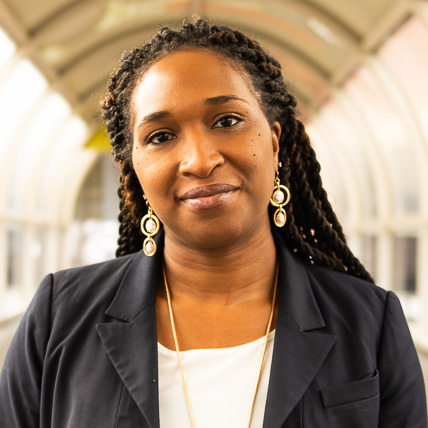 As program associate for American Friends Service Committee and organizer of its Peace by Piece collective, she is committed to supporting and mobilizing Black youth and young adults to establish sustainable, autonomous and equitable communities. Tabitha is also the founder and core organizer for New Orleans Palestinian Solidarity Committee. Her grassroots organizing efforts have addressed criminalization, human rights, youth development and food justice. Tabitha is a graduate of Tulane University. Rashard began his career as an actor. His passion for performance coupled with his enthusiasm for civil rights lead him to education. 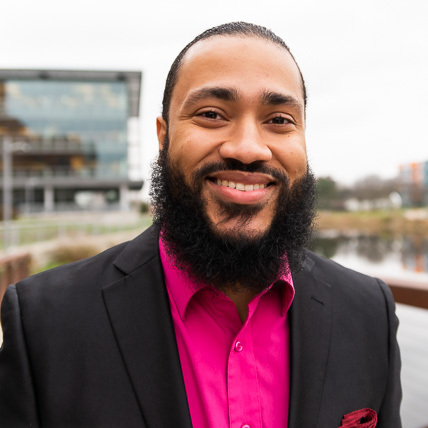 After graduating from Georgia State University, he taught at elementary schools in both Atlanta and Detroit, where he witnessed firsthand the impact of instruction and guidance both inside and outside of the classroom. Today, he is the CEO of Class Act Detroit, an organization he founded to provide after-school arts education that is transforming the lives of youth throughout Detroit. Duta is a dedicated education and Native communities advocate. He grew up on Standing Rock Reservation in South and North Dakota. He is Lakota, Dakota, Ojibwe and Akimel O’odham. Duta has been working with the Native American Community Academy, a charter school, since its inception in 2006. 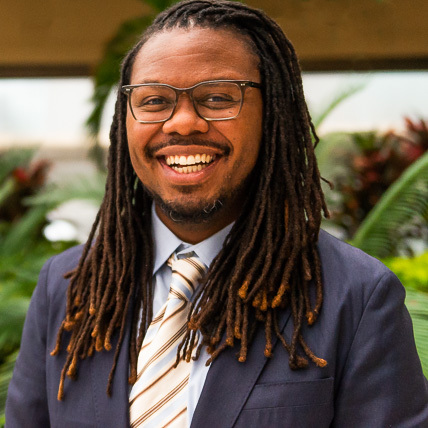 He now serves as executive director, leading its mission to engage students, educators, families and community in creating a school that prepares students to grow from adolescence to adulthood. Duta is a third-generation college graduate of Cornell University and the University of New Mexico. 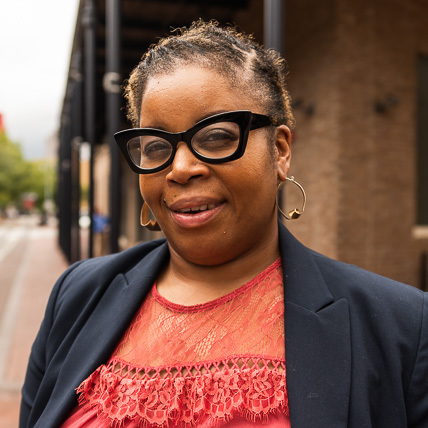 A dedicated advocate, Pamelya founded the KWH Law Center for Social Justice and Change to seek justice for low-income families in the South and Southwest. Previously, she served as executive director for Southwest Women’s Law Center. 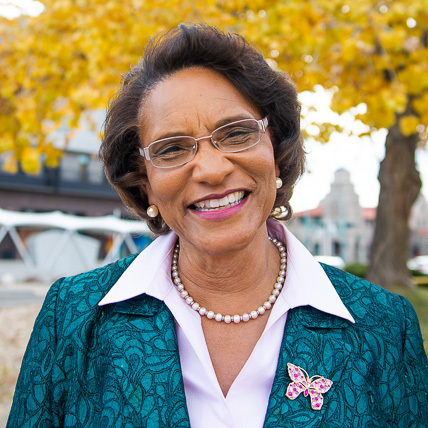 Pamelya is a member of the board of directors of African American Performing Arts Center, active in the Albuquerque Branch of the NAACP, and has served on the board of directors of the Girl Scout Trails of New Mexico. 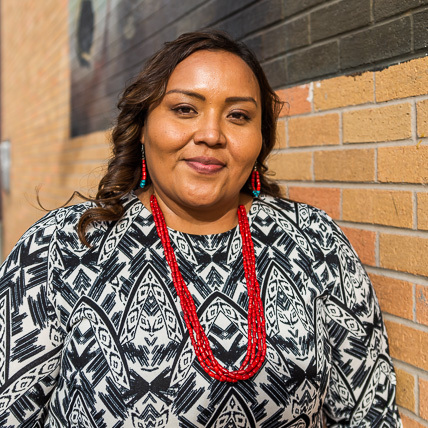 A graduate of Howard University and University of Texas, Pamelya is also working to establish an Indigenous Women’s Resource Center in Gallup, New Mexico, to support the voices, strength and safety of Indigenous women in our communities. Yvanna is passionate about empowering people who are often left out of political discourse. She is the first Latina to serve in the Nevada State Senate, representing the 10th district. When not in session, Yvanna is the executive director of the Immigrant Workers Citizenship Project, leading the state’s only organization to offer free help with naturalization applications. She also is pursuing a law degree at the Boyd School of Law of the University of Nevada, Las Vegas. Throughout her career, Yvanna has been dedicated to community engagement and mobilization, working to advance labor and immigrant rights. A first generation college student, Yvanna graduated from Northwestern University, and is the proud daughter of Cuban immigrants. Terry is dedicated to eliminating barriers, uplifting voices and mentoring youth. He is committed to creating an environment where all young people’s college and career aspirations can be achieved. 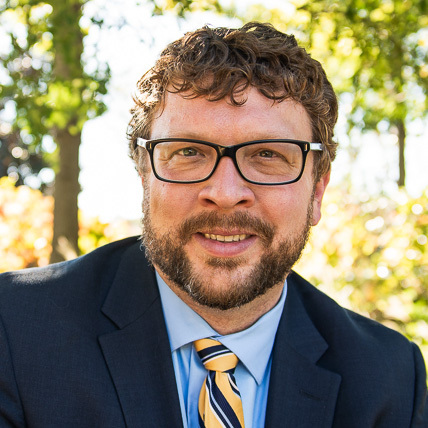 At Battle Creek College Access Network, he assists in the administration of the Legacy Scholarship, while managing student success programs, outreach and marketing for the network. As a strong advocate of one-to-one mentorship, he serves on the board of Big Brothers Big Sisters. Terry previously worked as a substitute teacher and college advisor. He is a graduate of the University of Michigan. Dr. Graham’s passion is supporting the self-empowerment of communities that have been marginalized. She is currently the executive director of Back Bay Mission, which aims to move clients from emergency services to self-sufficiency. Her work helping those experiencing injustices to help themselves is backed by more than 40 years as a pastoral counselor and community advocate. She earned her doctor of philosophy from Northwestern University, a master’s of divinity from Garrett-Evangelical Theological Seminary and a bachelor’s in history and sociology from Spelman College. Patrick is an educator, businessman, organizer and advocate who is dedicated to serving his community. 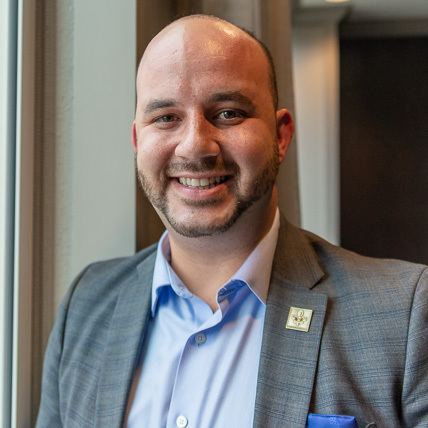 As training manager for the New Orleans Business Alliance, Patrick oversees logistics and operations related to planning, training and technical assistance opportunities at the Alliance and five Opportunity Centers throughout the city. 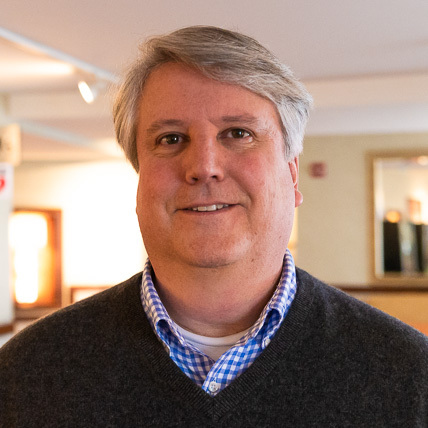 Patrick has helped men and women regain their voting privileges, re-establish themselves in the community and connect to jobs earning a living wage. 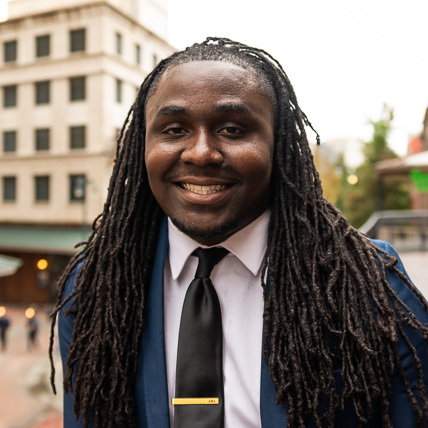 A member of the Urban League of Young Professionals and recent graduate of the New Orleans Business Alliance Economic Development Ambassadors Program, Patrick is a graduate of Northshore Technical Community College. A dedicated educator, administrator and mentor, William passionately serves his community in the classroom and beyond. He started with Teach for America and went on to become an elementary school teacher, earning Greenville School District Teacher of the Year. He was also successful coaching athletics. He served as an elementary school principal for six years, and then as the district discipline coordinator. Currently, he is the director of personnel and student affairs at Sunflower Consolidated School District. William has dedicated his life’s work to ministry and addressing racial equity in education. He is a graduate of Delta State University and Wake Forest University. 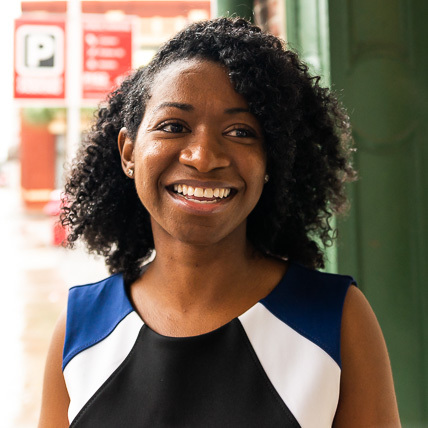 Zakiya has spent many years in service to the City of Jackson and the state of Mississippi, leading transformational change across sectors and communities. 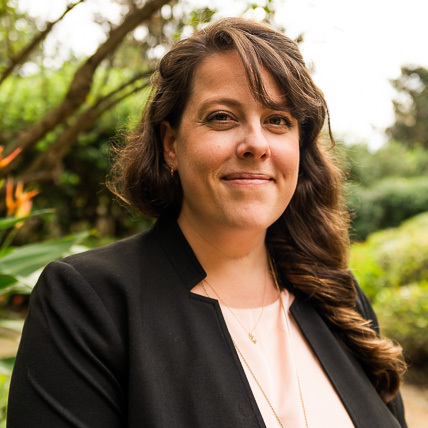 She works full-time as the director of communications and advocacy for ACLU of Mississippi, while serving as Hinds County Election Commissioner for District 3. Zakiya also owns her own event planning and public relations consulting company, Lady Godiva Productions. Her community activism earned her a spot among Mississippi Business Journal’s top 50 Business Leading Women of the Year in 2017 and a 2018 Social Justice Award from Zeta Phi Beta Sorority, Inc. She is a graduate of the University of Missouri-Columbia. From an early age, Mike has been compelled to help people help themselves, and is particularly passionate about working with youth. 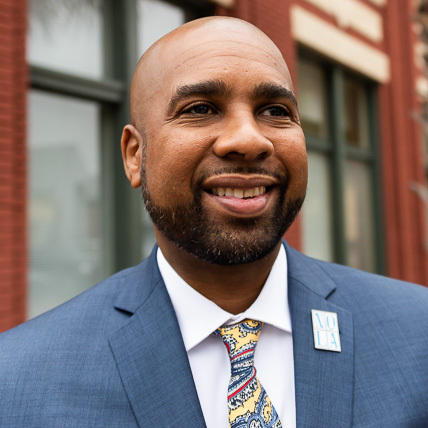 As director of College Track New Orleans, Mike leads a team to ensure that first-generation, low-income students have increased opportunity to break out of intergenerational poverty, beginning with the acquisition of a college degree. He is the co-founder of Project Skill Build, a service initiative focused on empowering New Orleans residents who historically have been marginalized to rebuild the city, one home at a time. A socially-motivated leader, Mike has been recognized by numerous organizations for academic achievement and community engagement. He is a first-generation graduate of Stanford University and Tulane University. Chili has served the Shiprock and Navajo Nation for more than 40 years. Currently, he is the president of the Navajo Nation Shiprock Chapter. He is a relentless advocate for labor issues, education, natural resources protection and working against racism. As a champion of Indigenous peoples’ civil and human rights since 1969, one of his proudest achievements was serving as the first chairman of the Navajo Human Rights Commission. Chili’s greatest passions are preserving the Navajo way of life and the health of the earth for the generations to come. Richard has a gift for bringing people together, whether it be a family gathering or community outreach. 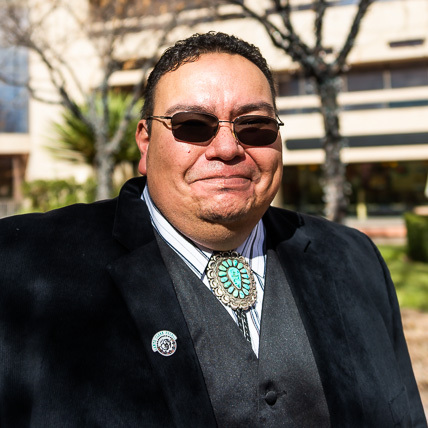 He serves as Tribal Councilman for Santa Clara Pueblo, as well as works as the early childhood coordinator for the Los Alamos National Laboratory Foundation. 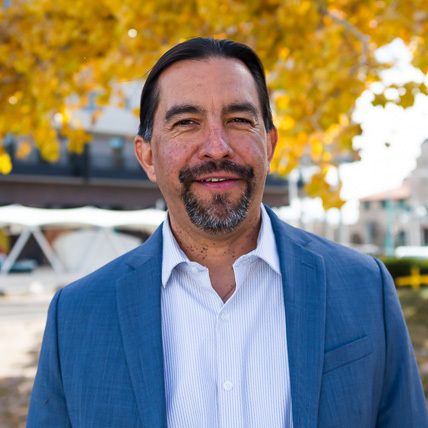 He previously worked in human resources as tribal development liaison to increase Native peoples’ employment, and spent 13 years in the Department of Student Affairs for Fort Lewis College and the Institute of American Indian Arts. He believes to help create a world of equity and resources for all, we first have to educate our community, and that starts with conversation. Richard is a graduate of Fort Lewis College. Von is passionate about equipping youth to build stronger communities through education, empowerment and dialogue. Von currently is the youth engagement coordinator for the William Winter Institute for Racial Reconciliation, which aims to create a safe space for interracial, multicultural dialogue and promote equity and inclusion for all communities. He has also worked in restaurant operations and business development. Von serves on the boards of the Mississippi Statewide Afterschool Network, Refill Café, Cure Sickle Cell Foundation and Operation Shoestring. He attended the University of Mississippi. An educator, entrepreneur and organizer, Carina works to lift up her community at every level. She currently is the chief operations officer at Mariners Inn, a shelter and treatment center that is an anchor for those struggling with homelessness and substance abuse. She is passionate about social justice and has leveraged her leadership to advance equity by serving as a 92Y Ford Fellow, German Marshall Memorial Fund Fellow and Leadership Detroit Class XXXVII. Awale’s work is centered around a core principle: to create connections across continents. His collaborative approach and creative problem-solving forge new paths for change, while building lasting relationships with unlikely partners. At the Bush Foundation, he is part of the Community Innovation team, which funds problem-solving projects. Awale has received accolades from the Center for National Leaders, NAACP, TRIO and the National Newman Civic Fellowship – to name a few. 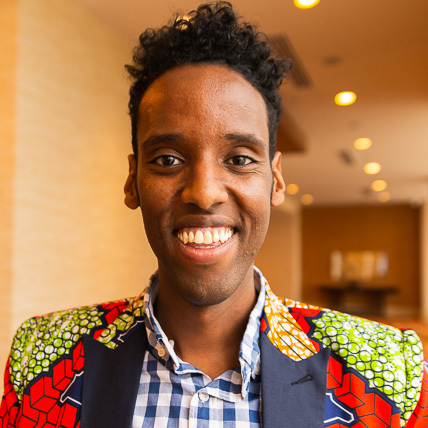 A graduate of Augsburg University, Awale is committed to driving lasting community impact. 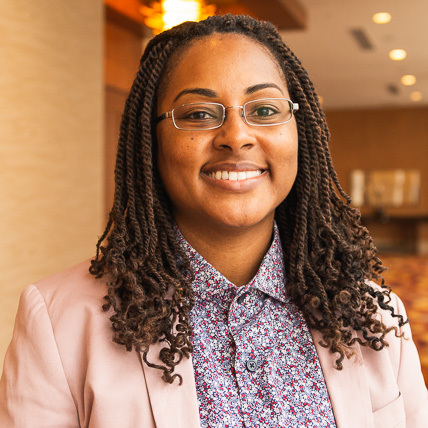 Kay is passionate about organizational capacity building, increasing equity and access to community resources, creating models of shared leadership and nurturing emerging young leaders to help shift power for communities of color. 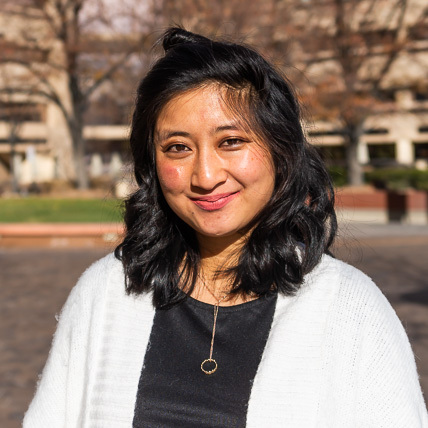 As executive director, Kay advances New Mexico Asian Family Center’s mission to create a Pan-Asian community that can advocate and support itself. She currently serves on the board of Young Women United and is an alumna of Asian Pacific American Women’s Leadership Institute. Kay is a graduate of the University of Michigan. As the administration’s disaster recovery manager, Paula oversees all recovery and mitigation efforts for the Santa Clara Pueblo. She currently serves as one of three tribal representatives on FEMA’s Hazard Mitigation Agency and has been appointed to the Southwest Inter-Tribal Emergency Management Coalition’s Executive Committee to lead efforts of emergency management among the tribes of New Mexico and Texas. 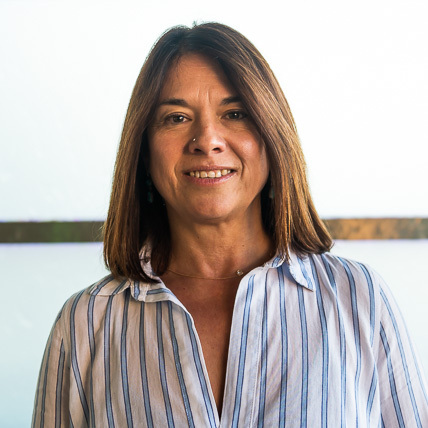 With more than 15 years experience in education, Paula volunteers as board president for Kha’p’o Community School and intends to address the generational gaps that exist from natural disasters that have impacted the community. Paula is a graduate of Grand Canyon University. 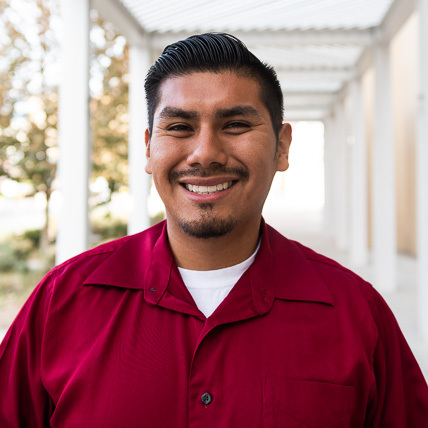 Felipe is a higher education advocate, community leader and migrant farmworker. His passion for higher education is fueled by his dedication to lifting communities out of poverty. 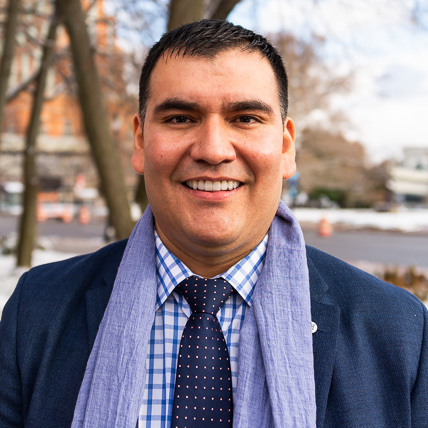 As executive director of the Hispanic Latino Commission of Michigan, Felipe works to advance educational, professional and entrepreneurial opportunities for Latinos and Hispanics. He also regularly returns to work in the agricultural fields of Michigan to show his four sons the value of hard work and to keep himself grounded. He is a graduate of Michigan State University and Ferris State University. Robert has spent the last decade working in the nonprofit sector and is The Grants Collective’s program manager. He also co-founded Young Asian Americans of Albuquerque to provide a safe space for young Asian Americans and Pacific Islanders to share their stories and build community. 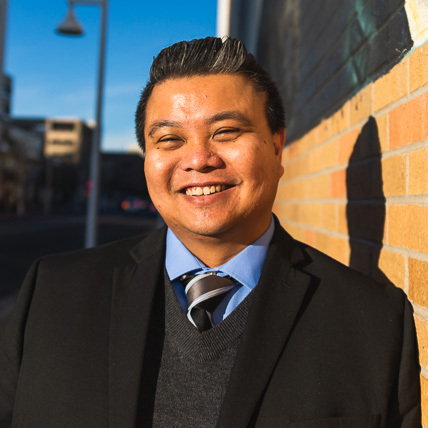 Committed to building equity, diversity and inclusion, Robert is a board member of Asian American Association of New Mexico, is active with Young Nonprofit Professional Network (YNPN) New Mexico and serves on YNPN’s national board. Robert is a graduate of the University of New Mexico. David is passionate about transforming education through disruptive innovation so that it better serves low-income and learning-disabled youth. His approach to education is founded in disability justice, community activism and social equity. At The Wheeler School, he leads an academic support program for high school students with learning disabilities. David also directs Chez Innovation, a week-long summer camp in social entrepreneurship. An educator for more than 20 years, David is a thought leader in his field, making a difference in hundreds of students’ lives. He is a graduate of Brown University and Boston University. Angela brings 20 years of management and training experience to her work building nonprofit, corporate and government organizational capacity. She founded her own business, Carson Consulting Services LLC, to help clients develop their leadership skills and achieve their changemaking goals. Angela is also the host of “Be in the Know” on WMGO radio, connecting residents with information and resources. A dedicated member of numerous boards, youth programs and community development initiatives, Angela is driving transformation in her community and beyond. Committed to bridging divides, Ainka is a lawyer and former public defender, teacher and social worker. She has co-founded and led numerous nonprofit organizations and legislative initiatives, as well as served on public commissions – all in an effort to create a beloved community based in justice, equity and love. Presently, she serves as executive director of the Selma Center for Nonviolence, Trust and Reconciliation, which teaches conflict reconciliation and helps people heal from the pernicious effects of racism. She also is the creator and editor of the Selma Superheroes Series, which teaches young people the history of Selma, while encouraging them to be their own superhero in the Selma 2.0 Movement. A graduate of Spelman College and Vanderbilt University Law School, Ainka is a 2016 recipient of the In Peace & Freedom Award. A scholar, researcher and mentor, Byron is transforming the political science field and our understanding of race and politics. His work explores the traumatic impacts of racism and discrimination on communities and people of color, authoring more than 30 articles and book chapters on the subject. He has taught at the University of Mississippi and University of Nebraska, and currently is a professor of political science at Jackson State University. Byron is also active in the community, mentoring youth and tutoring children at his local church. He earned his doctorate from the University of New Orleans, master’s degrees from the University of Mississippi and the State University of New York at Stony Brook, and a bachelor’s degree from Mississippi Valley State University. From the grassroots to the grasstops, Hamida is an organizer, advocate and coalition builder dedicated to advancing civil rights. 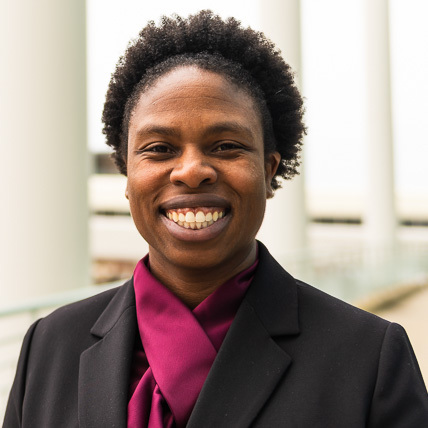 A lawyer and policy strategist, Hamida serves as ACLU’s national advocacy and policy counsel, leading reform efforts on probation, parole and re-entry nationally. Previously, she led its Smart Justice Campaign to end mass incarceration and combat racial inequities in the Deep South. She is a proud graduate of Vanderbilt University and University of Kentucky College of Law, and currently sits on the executive leadership team for the Civil Rights Section of the National Bar Association. 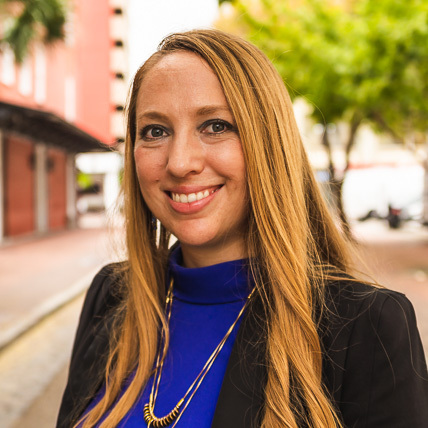 Known affectionately by her students as Señorita Rhodes, Lisa María is devoted to increasing access to education and mental health supports for high school students and graduates in New Orleans. She currently serves as director of Alumni Mental Health Services for Collegiate Academies Next. 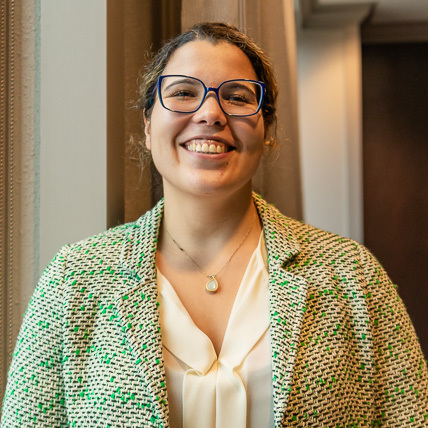 Inspired by her past work with Orleans Public Defenders, Evangelical Immigration Table and Christian Community Development Association, Lisa María developed a system of support for students who are in criminal justice or immigration court systems at George Washington Carver High School. She is launching ALAS, a nonprofit organization that trains educators to create access to rigorous post secondary opportunities for youth involved in either immigration or criminal justice systems. Lisa María is a graduate of Tulane University and the University of Miami. Judy has dedicated her career to serving the public. 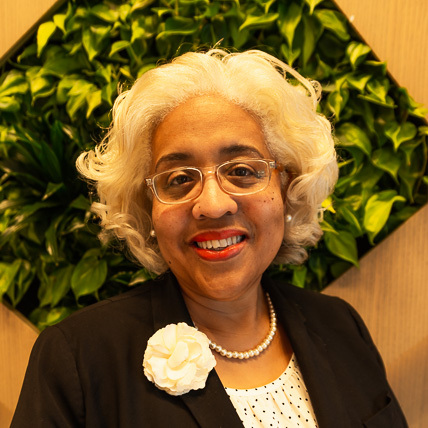 As chief executive officer of the Urban League of Louisiana, Judy leads the work of three Centers of Excellence focused on equity, social justice and advocacy; economic and workforce development; and education and youth development. Before joining the Urban League, Judy served as deputy mayor for the City of New Orleans for eight years and as chief of staff for the Louisiana Office of the Lieutenant Governor for four years. She also spent 13 years working in Washington, D.C., including time on Capitol Hill and at two federal agencies. Judy is a graduate of Loyola University and American University. Tina is executive director of Street Food Institute, an entrepreneurial and workforce training program for individuals interested in starting their own food business. She believes in the amazing capacity food has to connect people of all cultures, professions and generations. With 27 years experience in the private, public and nonprofit sectors, she serves on the board of The Grants Collective and Amy Biehl High School Foundation. Tina is a graduate of Santa Fe Community College and University of New Mexico. Albert believes in the power of young people to lead change. 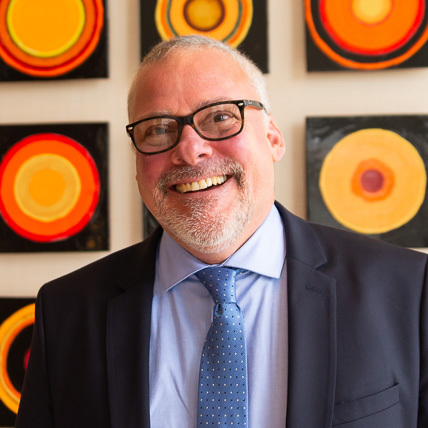 He is the executive director of the Institute for Democratic Education in America (IDEA), where he works to engage, inform and energize people and communities around creating a more equitable education system. 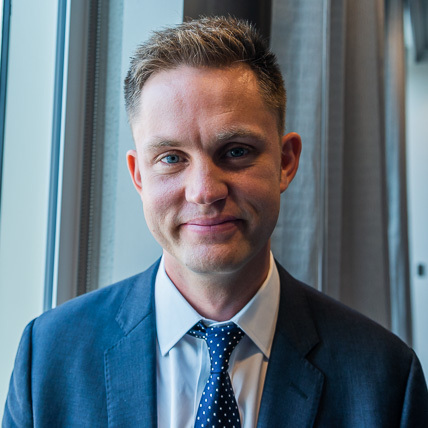 He formerly was the policy and advocacy director of the Young People’s Project, which trains, employs and supports high school students in becoming math literacy workers to elementary students. Albert is also an organizer at heart. He has advocated with the NAACP for a quality education as a constitutional right and served as a national trainer for the Children’s Defense Fund’s Youth Advocate Leadership Training. 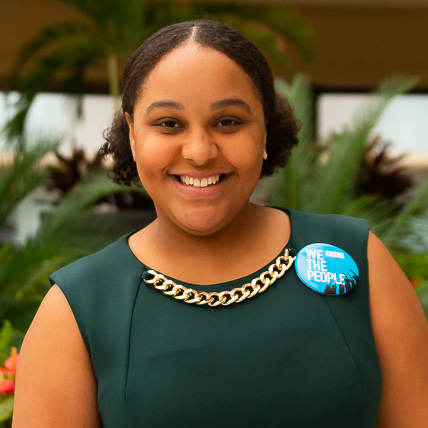 From a young age, Avery has aspired to lead positive change for youth. His work at Johns Hopkins University Center for American Indian Health promotes youth to make positive life choices not only now but for their futures ahead. 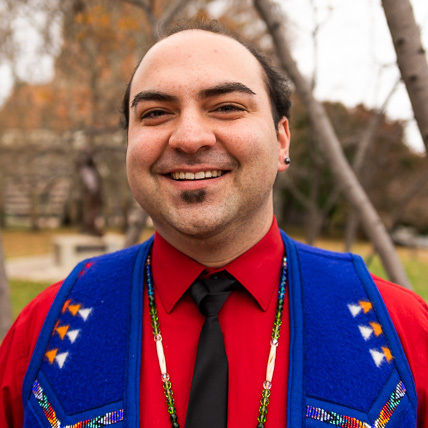 He is dedicated to working with youth to preserve their shared Native language, Keres. His passion for preserving his culture and mentoring the next generation fuels his even greater passion to create a more equitable future for all. He is a graduate of the University of New Mexico. Tracy is an experienced executive leader who has made diversity and inclusion a central part of her change efforts. Presently, she is vice president of procurement indirect for the Kellogg Company. 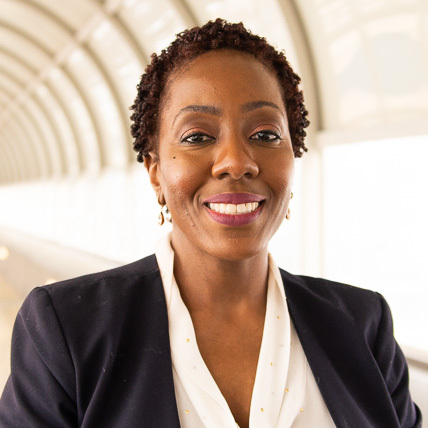 Her experience spans sectors and countries, including work in the public sector turning around Detroit Public Schools, and the private sector for various pharmaceutical, automotive and startup operations. 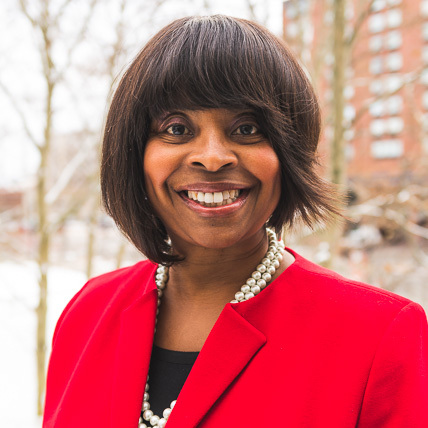 She was recently appointed to the Michigan Minority Supplier Development Council. 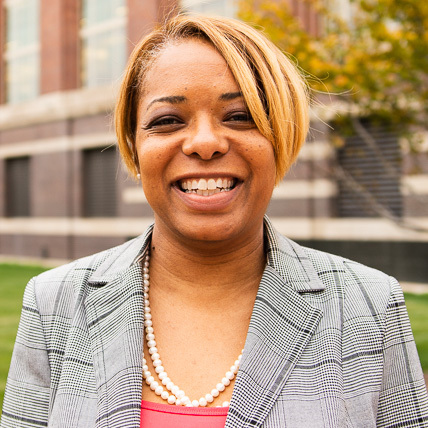 Tracy has also served on the boards of City Year Detroit, Michigan State University Multicultural Business and Great Lakes Women Business Enterprise. She is a graduate of Michigan State University, Georgia Tech and Walsh College. Brent has dedicated his life to public service and is deeply passionate about helping others find their own call to serve. As a firefighter and executive director of the Crescent City Corps, he aims to bring young people into first responder careers and prepare them for lives of meaning and impact. Also a veteran, Brent served as an intelligence officer, developed and taught curriculum to future naval leaders and was a strategist for the Joint Chiefs of Staff. Brent is a graduate of Yale University. A multidisciplinary storyteller and social justice entrepreneur, Luis is fueling positive social change through his innovative efforts. 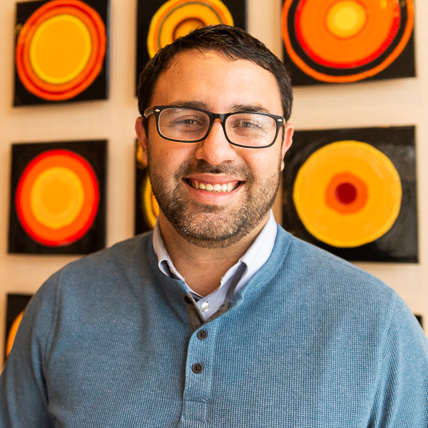 Over the last 14 years, Luis has worked with youth, educators and organizations across the country to center historically unheard narratives and employ storytelling as a strategic approach to build empathetic, inclusive and equitable communities. Luis’ work has touched thousands of lives, and been featured at over 500 events and seminars across the country, including Harvard DACA Seminar, ArtPlace America National Summit, and HBO’s “Where Do You Exist?” podcast. He is a graduate of the University of Washington. 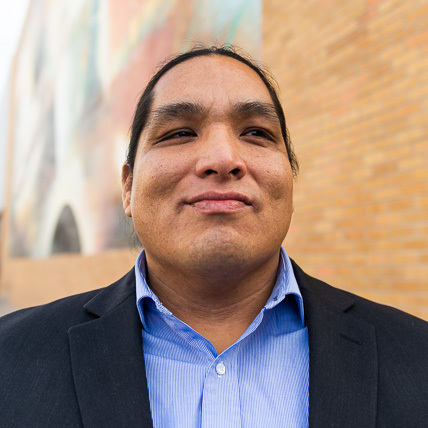 Joshua is a citizen of Bay Mills Indian Community and is passionate about healing intergenerational trauma and creating safe spaces in Indian Country for Two Spirit and LGBTQ youth. He brings more than 10 years of community, human and outreach services experience, spanning coast to coast and centered on health and healing. He currently serves as an elected judge for Bay Mills Indian Community. 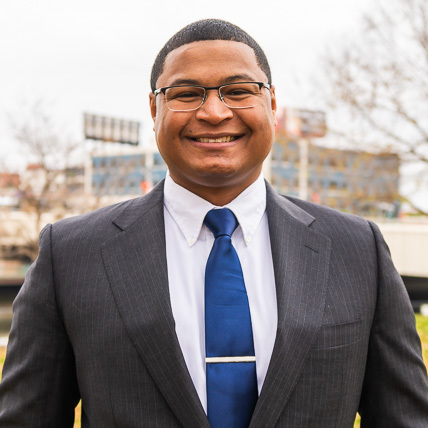 A graduate of Central Michigan University, Joshua is a rising human and civil rights advocate. An educator, mentor and community leader, Stephanie is passionate about helping youth become successful learners, discover their potential and take action. She started as a teacher and later became a school administrator. Realizing students were not receiving the necessary support, she co-founded projects, such as Girl Power, Teens Taking the Lead and the Fellowship of Southern Christian Families. Her work challenges community leaders to be innovative and creative in developing equitable opportunities for the social and economic achievement of all children. A graduate of Delta State University, Stephanie is pursuing her doctorate in public policy and administration at Jackson State University. The daughter of civil rights activists Medgar Evers and Myrlie Evers-Williams, Reena is a tireless champion for global equity and racial justice. 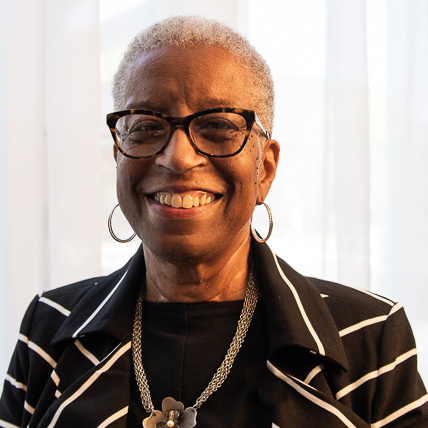 Bringing more than 40 years of executive leadership experience, she is working to make her parents’ vision of cultivating positive social change, intergenerational civic engagement, and social and economic justice a reality. She is the executive director of the Medgar & Myrlie Evers Institute, which offers programs to promote education, leadership and opportunity. She is a graduate of New York’s Fashion Institute of Technology. A champion for equity in education for 15 years, Charity is devoted to developing and accelerating the leadership and talents of educators and systems leaders who are committed to changing the lives of students. Working with middle school students through adults, her passion for education touches students’ lives at every stage. As a senior managing director at Teach for America-Detroit, she supports corps members and the vast alumni network of those working to shape the political, economic and social future of our country. She is a graduate of the University of Michigan and National Louis University. Sameen builds relationships and inspires change through philanthropy. She is a relentless advocate for women’s rights and social justice, working with Muslim women in her community for more than 25 years. At the Proteus Fund, she serves as the officer for partnerships with the RISE Together Fund, a national donor group working to build community power, change the narrative and advocate for the rights of Muslim, Arab and South Asian communities. 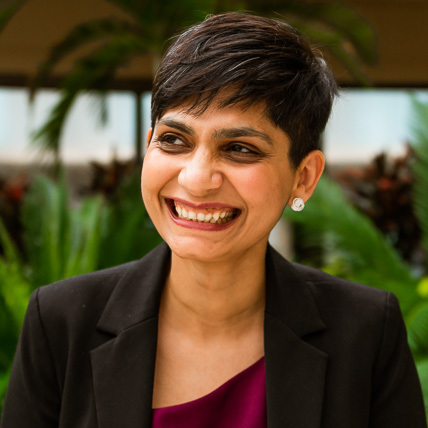 A graduate of the University of Florida and Nova Southeastern University, Sameen is an esteemed nonprofit leader and strategist. Johana is a community organizer and leader. 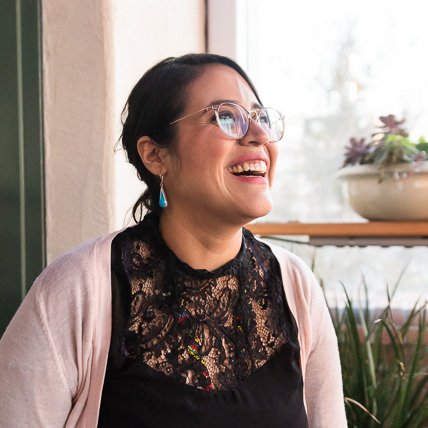 As CAFé’s director of organizing, she works to create a culture of support that empowers New Mexicans to advocate for a better quality of life and challenge elected leaders to put the needs of families and the common good of New Mexico first. She aspires to a community where no one is standing in the margins, but rather transforming pain into power. Johana is a first-generation college graduate of New Mexico State University, where she earned both a bachelor’s and master’s degree. Durryle is an educator, researcher, social justice trainer and dreamer. 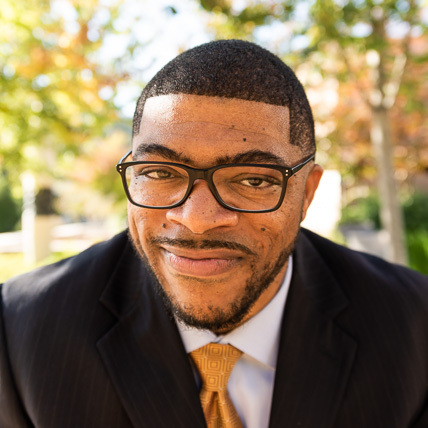 Through his Love & Justice Consulting, LLC practice, he is helping the next generation of leaders to effectively and authentically engage across difference. 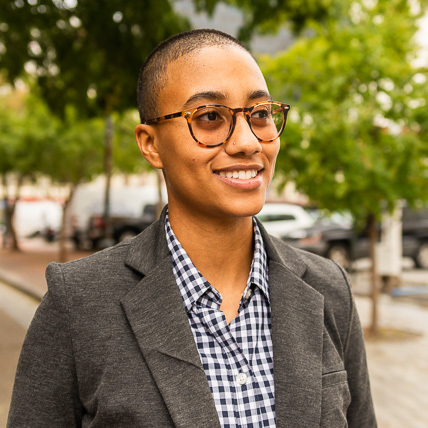 Durryle also serves as executive director of The Center for Black Equity-Baltimore and a research associate at Johns Hopkins Bloomberg School of Public Health. Plus, he teaches LGBTQ studies as an adjunct professor at Towson University. He has a doctor of philosophy from the University of Massachusetts at Amherst, a master’s from San Francisco State University and a bachelor’s from St. Mary’s College of Maryland. A dedicated advocate for the Arab American community of Dearborn, Marwa is advancing social justice and racial equity. Her background spans sectors and continents with experience in public health, philanthropy and community organizing, and travel across 10 countries. 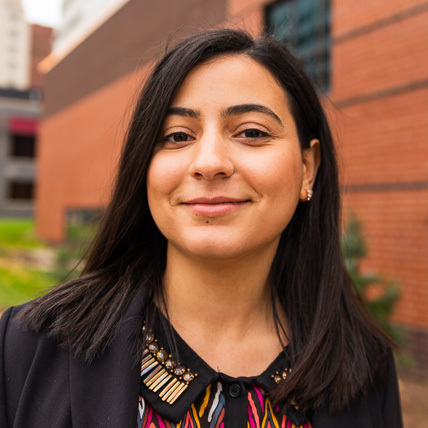 Marwa believes we can change the world by listening more closely to youth, and works to do just that at the Center for Arab American Philanthropy. Marwa is a graduate of Harvard University. She plans to enter medical school in fall 2019. 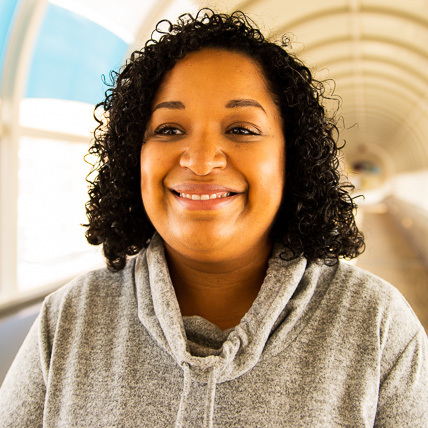 Celeste is a dedicated community health advocate, partnering with organizations to promote healthy outcomes for African American and Latina women throughout their pregnancies and onward. For more than 10 years, she has worked with underserved communities to advance diversity, equity and inclusion in fostering health. Celeste also serves on the Early Learning Neighborhood Collaborative board to increase educational opportunities for children of color. She earned her master’s degree at Western Michigan University and her bachelor’s degree at Purdue University. A community organizer, social entrepreneur and philanthropy leader, Patrick is setting a path toward restorative justice and racial healing. With more than 10 years of experience in racial reconciliation and youth-focused work, Patrick is leading transformational change that will last through the generations. He co-founded and serves as director of the Emmett Till Interpretive Center, which uses art and storytelling to share the Emmett Till tragedy, facilitate racial healing and point us toward a new future. A graduate of the University of Mississippi, he holds a master’s degree from the Center for the Study of Southern Culture. Maggie is a public official devoted to making our democracy as effective and responsive as it can be. As New Mexico Secretary of State, she is focused on greater transparency and ethics in government, fair and efficient elections, and increased voter access – particularly for those in historically disenfranchised communities. 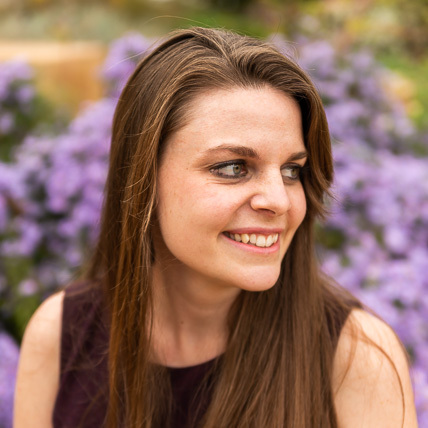 A graduate of University of New Mexico, Maggie is an adjunct instructor of political science at the university. Ebony curates community engagement experiences designed with people of color in mind. She founded multimedia performance showcase, Burque Noir, and creative consulting firm, Honeysuckle Creatives. 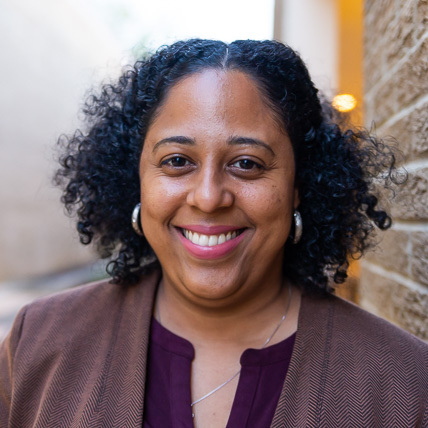 As director of diversity, equity and inclusivity at Bosque School, Ebony applies more than 15 years of experience to champion equitable policies within independent schools. Her innovative multimedia showcases and exhibitions shine a light on Black artists throughout New Mexico, and her creative programming brings community together to reflect, celebrate and heal. Ebony is pursuing her graduate degree in business entrepreneurship at University of New Mexico. She studied undergraduate at the University of Denver. Improving access to healthy foods for families struggling to make ends meet is Melanie’s passion. For more than 15 years, she has dedicated her career to improving the overall health and well-being of communities. Her innovative approach to relationship-building and collaboration make her a leader in the nutrition industry. She currently manages the Women, Infants and Children Nutrition Assistance (WIC) programs and partnerships for the Kellogg Company. A graduate of the University of California Berkeley and Tufts University, Melanie is a registered nutritionist with a master’s in nutrition communications. For 10 years, Sunny has worked to lead school food reform and create a new culture of regionally-based eating. 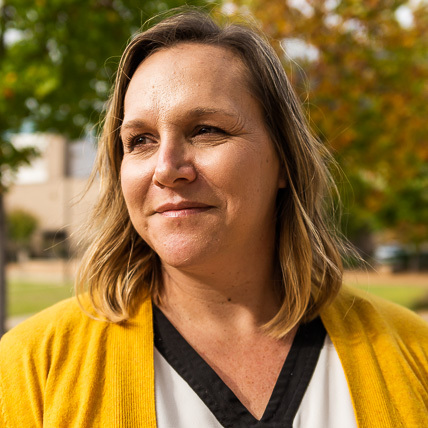 She is the co-director of the Mississippi Farm-to-School Network, which enriches the connections communities have with fresh, local food. Her work is inspiring students to learn about and eat good, clean and fair food. Her innovative farm-to-school approach is transforming cafeterias and classrooms across her state. Sunny also directs EduFood Consulting, offering resources and pragmatism to help communities and schools strategize good-food solutions. A graduate of Hendrix College, Sunny presents on food systems change and, in 2014, her work was featured at TedXManhattan. Harolyn has dedicated her career to public service to improve the health and well-being of children and families. Her experience includes management, data analytics and policy, operations and business development at the local, state and national levels. Currently, she serves as the director for the Division of Child Health Services at the Detroit Health Department, where she leads the Women, Infants and Children (WIC) program, as well as children special health care services, vision and hearing screenings and childhood lead prevention programs. Harolyn has authored and co-authored a number of peer-reviewed publications contributing to the fields of healthcare quality and public health. She is a graduate of Tulane University School of Public Health and the University of Michigan Ross School of Business. Josh serves as senior advisor and director for strategic initiatives for New Orleans Mayor LaToya Cantrell. 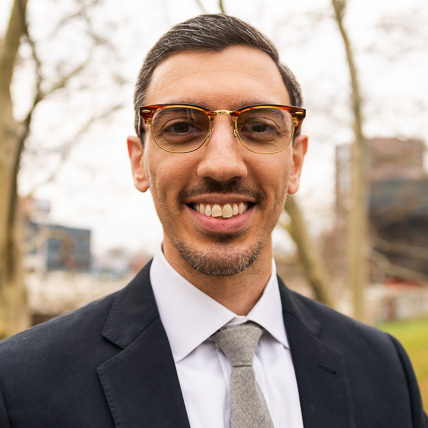 A teacher before earning his law degree, Josh realized that poverty, and the problems that accompany it, are the biggest barriers to reducing inequality in the city. Since that time, he’s become obsessed with using capital to remove systemic barriers and to create access to justice and economic opportunity for children and families in New Orleans. Josh is a graduate of Yale University and the University of Pennsylvania Law School. Jacqueline is an innovator working at the intersection of maternity care and the legal system to advance reproductive justice. 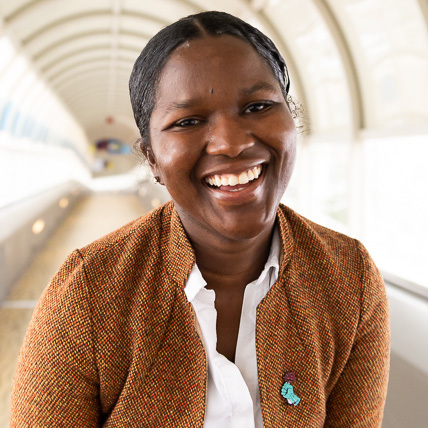 By bridging her work as an attorney with her passion as a doula, Jacqueline is driving community-focused solutions to the challenges that women of color face in the Deep South with maternity care, breastfeeding and the daily caregiving of very young children. She founded the nonprofit Justice Advocates for Maternal Support to promote the civil and human rights of mothers and babies in pregnancy, birth and beyond. In addition, she works as a part-time associate attorney at the civil rights law firm Bizer & DeReus, and is a trained birth and postpartum doula. Jacqueline is a graduate of Tulane University Law School, Jackson State University and Holmes Community College. Kahlida is an attorney, child advocate and teacher who believes her most important role is that of reconciler. She is the founder of Mission Reconcile, a faith-based racial reconciliation nonprofit that seeks to create organic relationships through facilitated conversations about race and racism. She has made several presentations on topics surrounding race, privilege and racial reconciliation, and hopes to inspire this generation of children, and the adults who empower them, to dismantle the “isms” of our nation to create an equitable America. Kahlida is a graduate of Florida State University and North Carolina Central University School of Law. 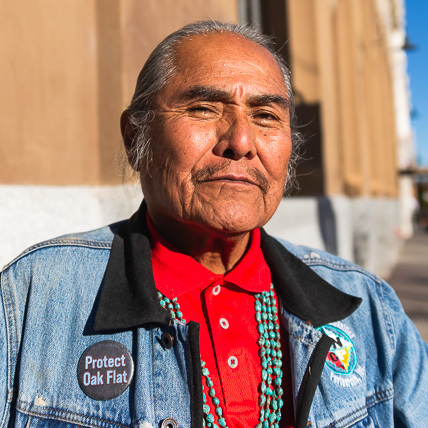 Michael is an environmental advocate, conservationist, ethnobotanist and community leader. As The Wilderness Society’s New Mexico state director, he brings diverse stakeholders together to protect the land and water that sustains our families and communities. He is committed to public service and has dedicated his career to advancing diversity in conservation and environmental movements. 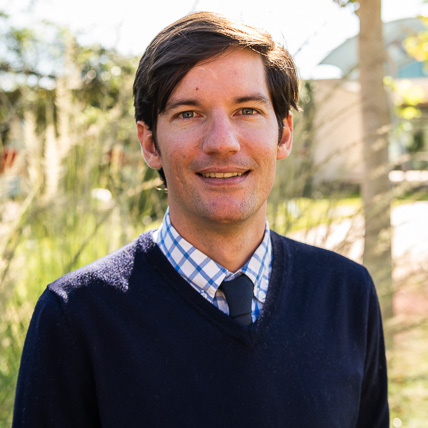 He is currently the president of the board of directors of the New Mexico Environmental Law Center, a public interest law firm that provides free and low-cost legal services on environmental matters throughout the state. Michael is a graduate of New Mexico State University. Henry is dedicated to positively impacting his community by inspiring young men and bringing healing to the soul through laughter. 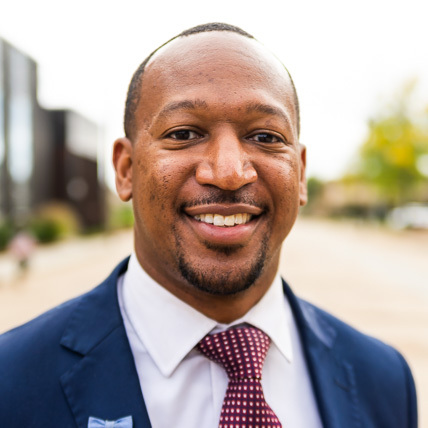 He co-founded and serves as CEO of Better, Wiser, Stronger, Inc., which mentors young men and provides them with support, education and guidance to develop the confidence and life skills they need to grow into successful adults. He is also a prolific comedian who travels throughout the United States. His talents as a multifaceted entertainer bring joy and community together, performing at many charity events, including Gilda’s Laughfest, a 10-day community festival that attracts 50,000 attendees annually to West Michigan. 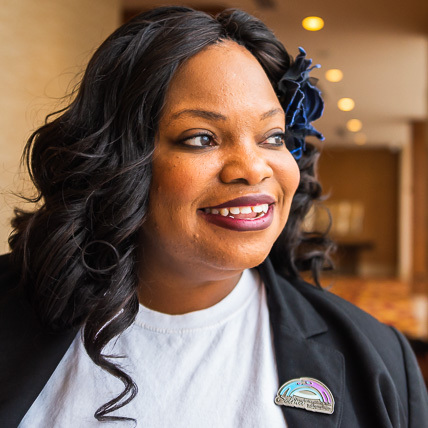 An administrator, educator and activist, Maali takes pride in serving her community. For more than 15 years, she has worked domestically and abroad to advance human rights and education as a tool for empowerment and social progress. She currently serves as associate dean of student services for Wayne Community College District, which provides culturally-rich experiences and excellent services to support more than 72,000 students each year in achieving their goals. Maali is a graduate of Harvard University and the University of Michigan. Fighting the stigma around mental health and increasing access to health care is Nina’s passion. 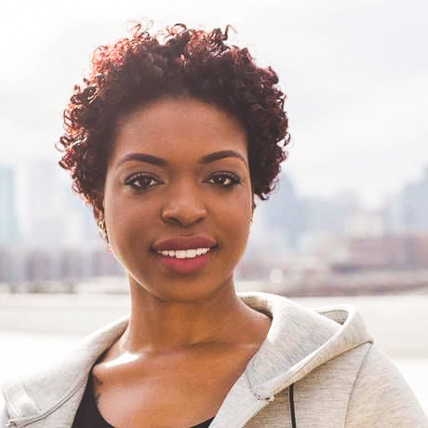 She is committed to improving the health and well-being of her Detroit community, and is pursuing a medical degree at Michigan State University in service to her goal. A former educator, Nina believes in the power of youth and supporting their growth. Nina will graduate with her degree in the spring of 2019. She also earned her bachelor’s in nutrition science from Michigan State University. teaching, art and advocacy. She is dedicated to capturing the stories of Arab Americans in her community to drive change toward greater social justice and equity. 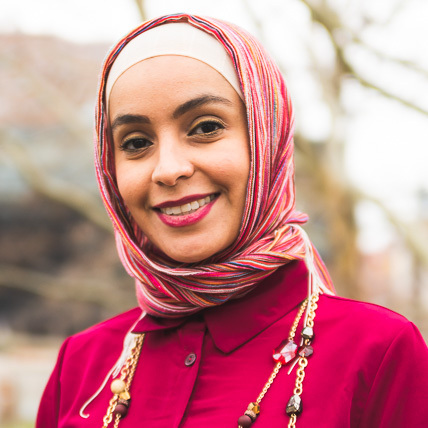 She is a communications specialist for the Arab Community Center for Economic and Social Services (ACCESS), where she supports the National Network for Arab American Communities and ACCESS’ Campaign to TAKE ON HATE,” among other initiatives. She previously worked for the Arab American Heritage Council, where she led the production of a documentary series about Flint’s Arab American community, which is housed at the country’s only Arab American National Museum. She is a graduate of the University of Michigan-Flint. Aimeé is dedicated to advancing opportunities for Latinx communities to thrive. She is an attorney at law, working in the private and public sectors for the past 10 years. 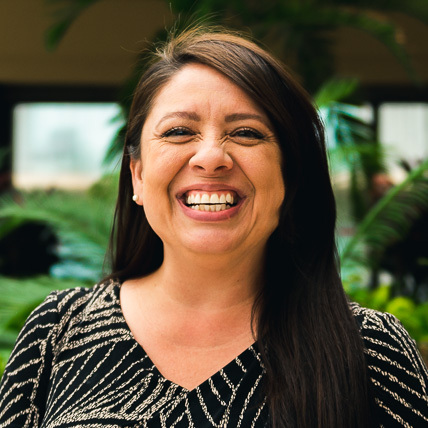 As a board member for Encuentro, she assists Latinx families in building skills for economic and social justice. 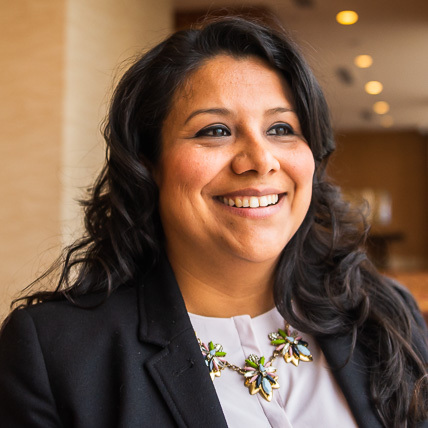 In her service on the New Mexico Bar Association, she supported her fellow Latinx attorneys’ professional growth and advancement. Aimeé is a graduate of New Mexico State University and the University of New Mexico School of Law. Buster is a community mover and shaker from the Laguna Pueblo Nation of New Mexico. He is passionate about addressing the barriers that hinder Native youth and communities from living active, healthy and happy lives. 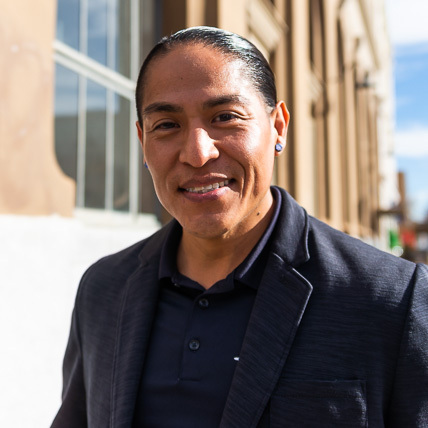 A former educator, he continues to advocate and promote healthy active lifestyles as the community coordinator at the Notah Begay III (NB3) Foundation — a national Native-led nonprofit with the mission to ensure Native children achieve their full potential by advancing cultures of Native American community health. Buster is a graduate of Haskell Indian Nations University. Lifting up Latino communities’ leadership is Janet’s passion. 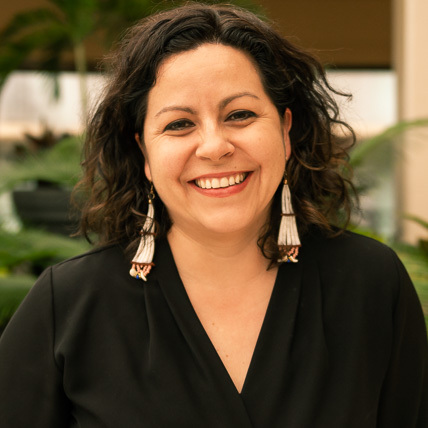 She is a prominent Latino advocacy expert, training emerging leaders throughout the country to increase their organizational, advocacy and electoral capacity. Her innovative approach is backed by her more than 10 years of organizing experience. At UnidosUS, she serves as a senior civic engagement project manager to support stronger communities for a stronger America. A graduate of the American University, Janet also holds certificates from Georgetown University, Harvard Kennedy School of Government and George Washington University.